Location: Shotwick Park, Cheshire in England. Ownership / Access: The Crown, Free access to public. Notes: Shotwick Castle is a Norman medieval fortification near the village of Saughall, Cheshire, England. Construction began in the late 11th century. Its purpose was to control a crossing point on the River Dee between England and Wales. The site is a scheduled monument. 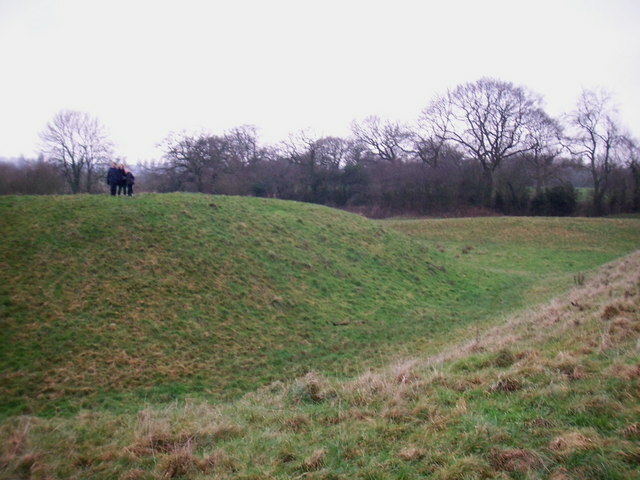 No masonry features remain above ground except for earthworks.